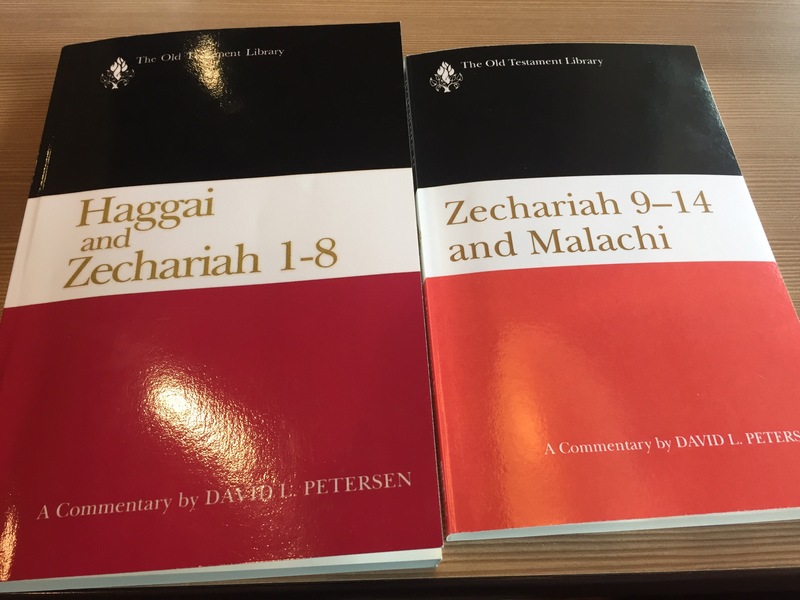 David Petersen first gave us Haggai and Zechariah 1-8 in the Old Testament Library (OTL) series. Later, he wrote a follow-up volumes His two books have been influential and oft-cited volumes for several years now. Considered by many as the best critical commentary out there, this book has several features that we of a more conservative persuasion can glean from. In this volume, Petersen deals first with Haggai and gives it its own Introduction. After some comments about how Haggai relates to the other “Latter Prophets”, he describes the times of the prophet. He really fleshed out that subject well and interacted with several other scholars. In his discussion of the book itself, he reviews the “prose or poetry” debate and went through his beliefs on composition. Though I could not agree with him, he stated his thoughts clearly. From there he jumped into his commentary itself. It’s quality and design holds up well with the rest of the series. On page 107, Petersen begins his treatment of Zechariah 1-8. He immediately tells us that he follows “the critical judgment of scholars over the years who have discerned a fundamental division between Zechariah 1-8 and 9-14.” Though there’s conservative scholars who disagree, he sets out and explains well the critical position. He begins in this case with describing the person of Zechariah. Next, he provides a lengthy section on the book in the same style as he did on Haggai. His viewpoint requires distinguishing what he sees as the different oracles in Zechariah. Overall, he provides as good a volume as is out there on these Prophets for those who seek a clear critical viewpoint. David Petersen worked another decade before he finished what he began in the earlier Haggai and Zechariah 1-8. Both volumes are in the respected Old Testament Library (OTL) series. Unlike the earlier volume, he covered both prophets and books in one Introduction. He began by stating that the last 10 chapters of the Old Testament (the chapters he covers) are as difficult as any in the OT. He goes into a lengthy discussion of the historical context of these prophets. Though I would disagree on several points, this discussion was fascinating and the most valuable of the entire book. Next, he explains why Zechariah had to be chopped up in his view. His arguments don’t hold for this reviewer, but be does write clearly so you can trace his thinking. He is briefer in his discussion of Malachi. The commentary is in the same style as the earlier volume and for several others in the series for that matter. This will be my go-to volume if I want to study how the other side of scholarship views these prophets. Again, he writes in a clear words and provides a transparent presentation of what he believes. For what it is, this is an important book.